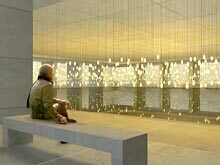 On November 19, 2003, the Lower Manhattan Development Corporation unveiled the eight finalist designs in the World Trade Center memorial competition. 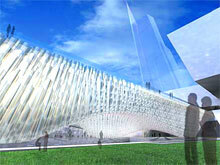 The designs were selected by a 13-member jury. 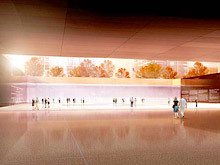 Each design must recognize the twin tower footprints and each individual killed in the terrorist attacks on September 11, 2001 and February 26, 1993. 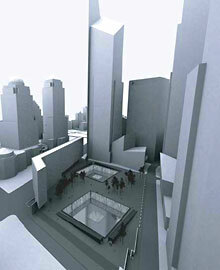 The designs are on display at the Winter Garden and the jury will select the final design. To discuss the eight plans, click here.